How do I get a copy of the video and mp3 of Unleash Your Inner Woman? Hi Lucille, I just tried your free hypnosis mp3 and i feel so amazing, like never before in my life! Like if i got out of my male prison and begining a new life as the a woman I’m becoming. As you say it right, feminity is from inside out. WOW! Thank you so much! 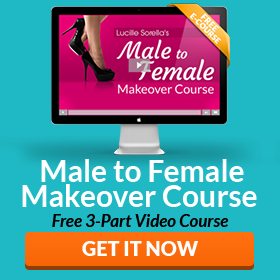 Looking forward to try the whole Feminization Hypnosis Program! I’m so grateful, keep on doing your great job!